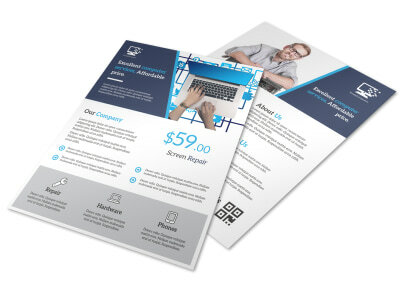 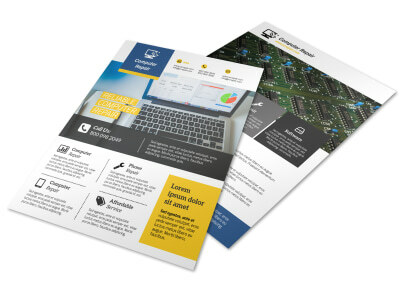 Customize our Blue Computer Repair Flyer Template and more! 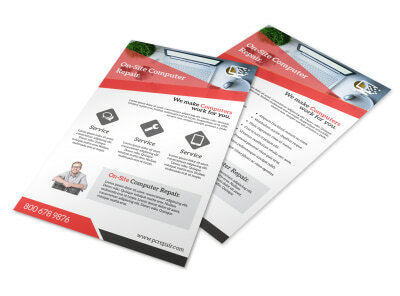 From trojan attacks to fried hard drives, you’ve seen it all, so let computer users know about your repair services with this customizable flyer. 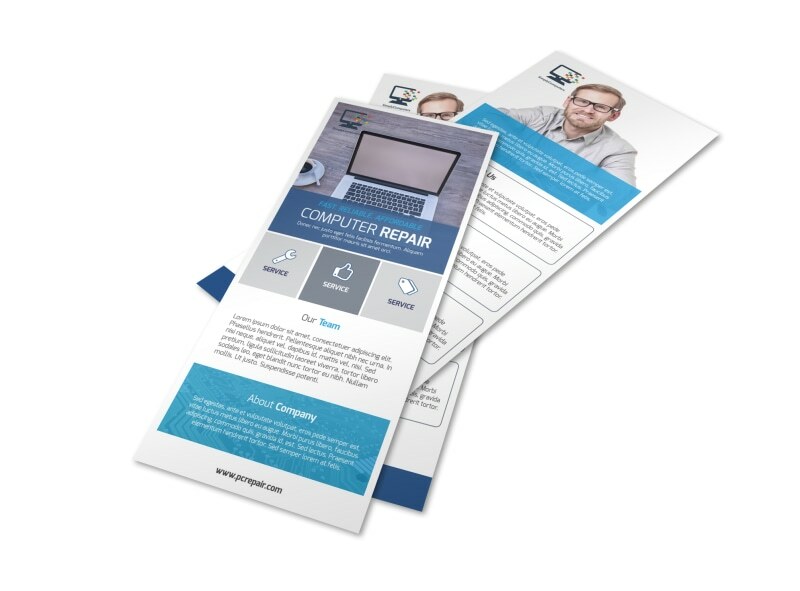 Give customers details about your expertise and training, and then offer a free repair quote or provide customer testimonials from happy clients. 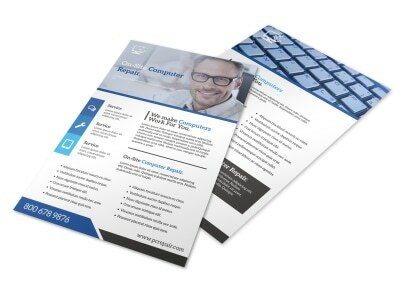 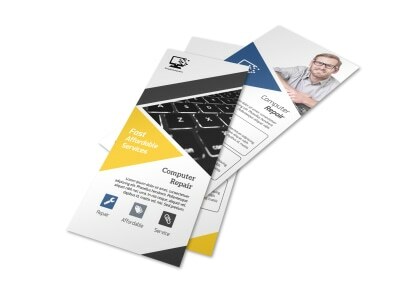 Get busy on your design now, and have your flyer ready to print with just a few clicks.